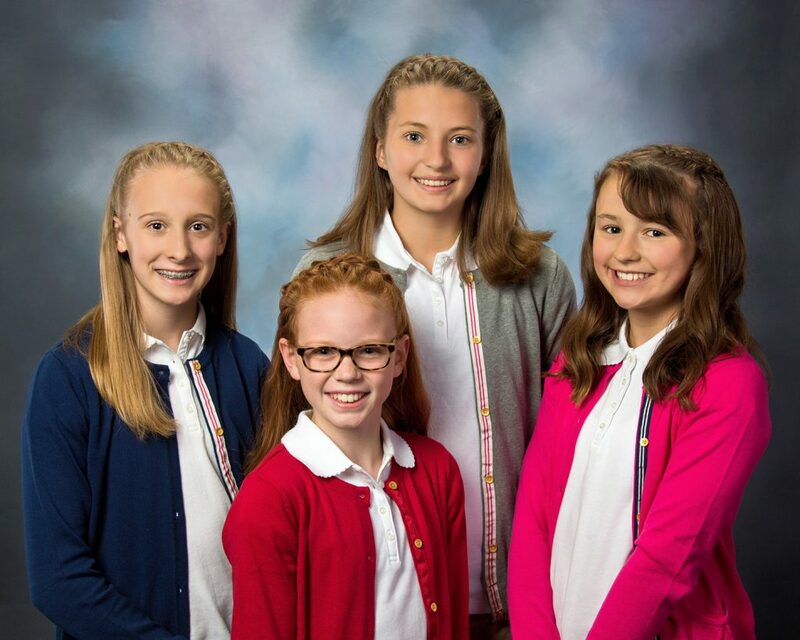 The 81st Mountain State Forest Festival has announced the selection of royal jesters Mackenzie Nicole Childers, Ruby Jane Jackson, Juliet Marguerite Kubichek, Lexi Marie Reger to the court of Maid Silvia LXXXI. The four Randolph County students, having earned the distinction through an audition process and will have the honor of providing entertainment in the form of dance and tumbling throughout the festivities from September 30 to October 8, 2017. Childers, is the daughter of Gary and Melissa Wileman of Beverly and Michael Childers and Jamie Paulhamus of Elkins. She is the granddaughter of Debra Snyder of Elkins, Richard and Anita Snyder of Belington, Mike and Pam Childers of Buckhannon, Cassandra Martin of Buckhannon, and January and Allison Wileman of Beverly. She has two brothers, Paton Paulhamus and Brayden Childers and three sisters, Lynnlee and Madison Wileman and Kaleigh Paulhamus. Mackenzie will enter the eighth grade at Elkins Middle School in the fall where she is an honor roll student. She participates in cheerleading, band and track. She is a member of the Robotics team and HI-Y club and enjoys participating in gymnastics. In the future, she plans to be a surgeon. Jackson, is the daughter of Justin and Macy Jackson of Elkins. She is the granddaughter of Jim Jackson and Nicola Nieves of Elkins, Bill and Terry Kelley of Grafton, and Tim and Nancy Valaer of Deltona, Florida. She has one brother, Troy, and one sister, Hazel. In the fall, Ruby will be a seventh grade student at Elkins Middle School. She participates in cheerleading and softball and is in the band. She is active in Girl Scouts, Old Brick Playhouse, Tumble Time Gymnastics and Dance by Farrah. She enjoys going to quilting and sewing classes at Elkins Sewing Center. She is a member of Saint Brendan’s Catholic Church. Kubichek, is the daughter of David Kubichek and Marguerite Kubichek of Elkins. She is the granddaughter of Marvin and Dorothy Gelb of Southport, North Carolina and John and Elaine Gilmore of Brunswick, Georgia. She has one brother, Lucas Masten. Juliet will enter the seventh grade this fall at Elkins Middle School. She is an honor student, participates in track, cheerleading and Student Council. She loves to act in school plays and enjoys the subjects of math and science but most of all she likes to make people smile. In the future, she plans to study architecture. Reger, is the daughter of Bradley and Melissa Reger of Elkins. She is the granddaughter of Robert and Marian Reger of Belington and James and Patricia McCloud of Elkins. She has one sister, Ani Reger. In the fall, Lexi will enter the eighth grade student at Elkins Middle School. She is an honor roll student and participates in track, band and Student Council. She loves horseback riding and prefers jumping. She has enjoyed participating in competitive gymnastics since the age of five. In her free time, she enjoys hunting and any outdoor activities. In the future, she plans to be an equine veterinarian. Please join the jesters and the Royal Court of Maid Silvia LXXXI, as they descend coronation hill at the crowning of Mail Silvia the 81st on Friday, October 6, 2017 on the campus of Davis and Elkins College.